There is nothing better than a good book or a good book about cats. I have read a lot in the feline genre over the years and hope to compile a list of titles here that I recommend. I will continue to add to this list as I read new titles and old favorites come to mind. 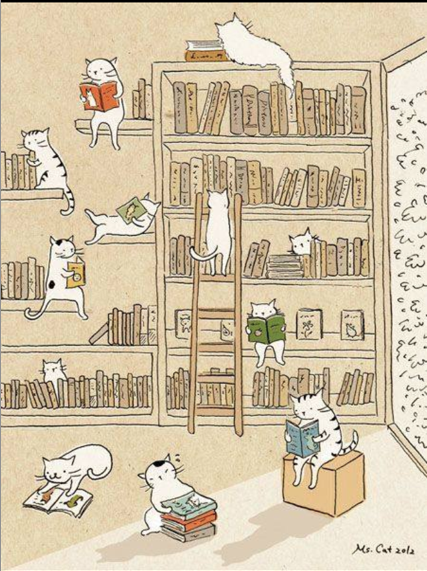 That “Cats and Books” illustration is cute. Do you know the name of the artist? May I suggest “Dewey, The Library Cat Who Changed the World”? If you have read it, please do – it is wonderful! Here’s a link.